Bali is popular and there is a good reason why. 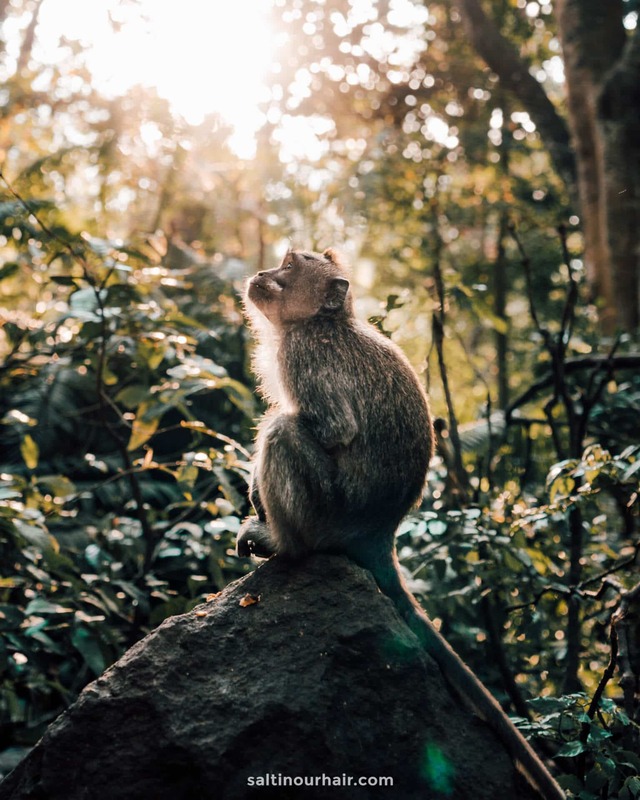 The island is beautiful, the beaches are perfect for sunbathing and surfing, hiking is great, the locals on Bali are kind, and Bali is affordable. 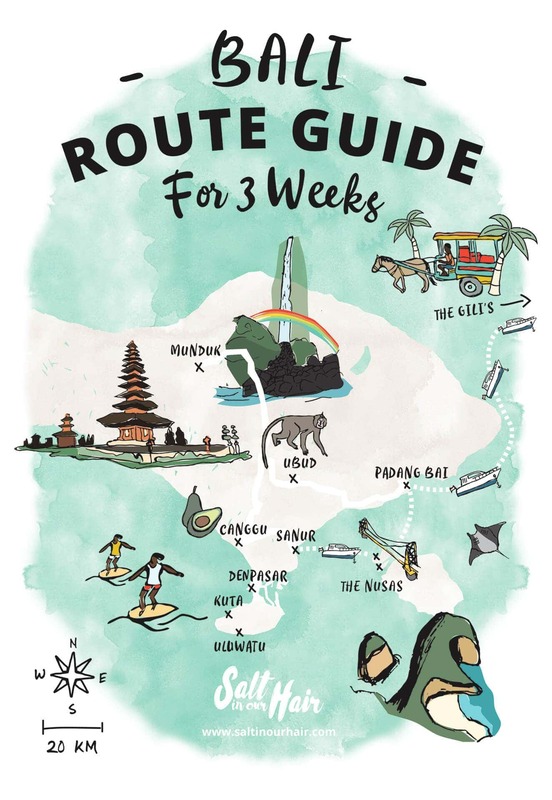 We created a 3-week Bali route guide to help you plan your trip but also give you some additional places to add to your route through Bali. 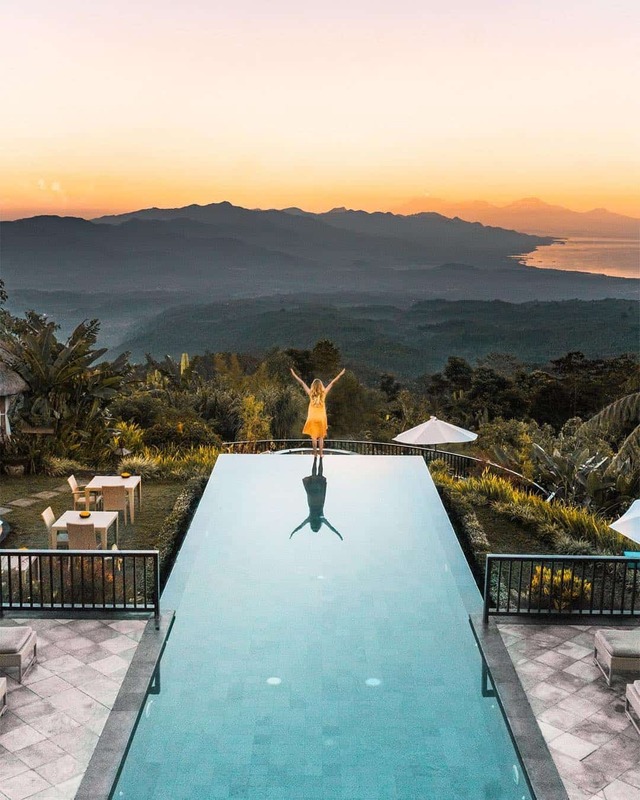 This 3-week Bali route guide includes all kind of sceneries like paradise looking beaches, incredible cliffs drops, waterfalls and the northern mountain views. The route is improved by our own experience, by the things we didn’t know before we’ve visited Bali. Bali is relatively small, distances are short but it can take some time to just drive an of distance of 15 km. You can either get around by driver or by renting a motorbike. Some of the days below contain links to much more information about that specific location. Flying into Denpasar Airport doesn’t mean you have to stay in Denpasar after your flight. From the airport, take a taxi to Canggu. Canggu is a laid back, trendy surf-vibe town. Bali is known for its luxury and perfect island life. 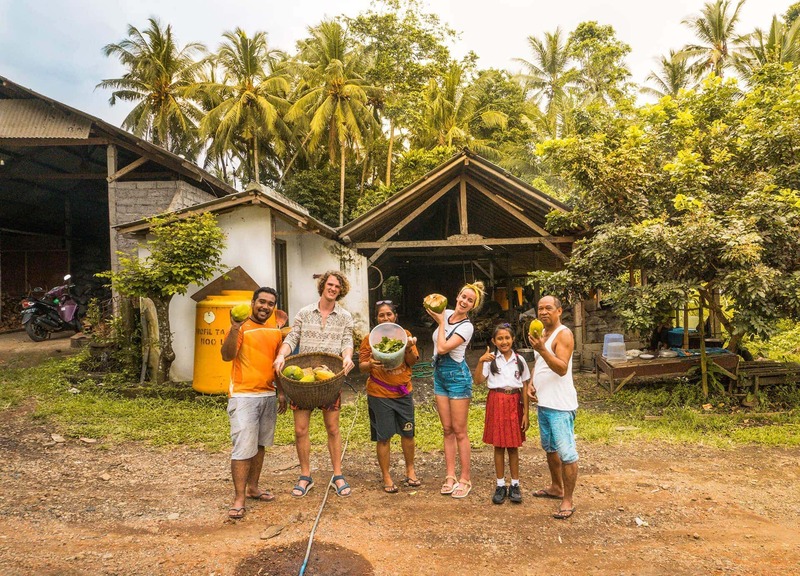 Have a unique experience while staying with a local family in Bali. 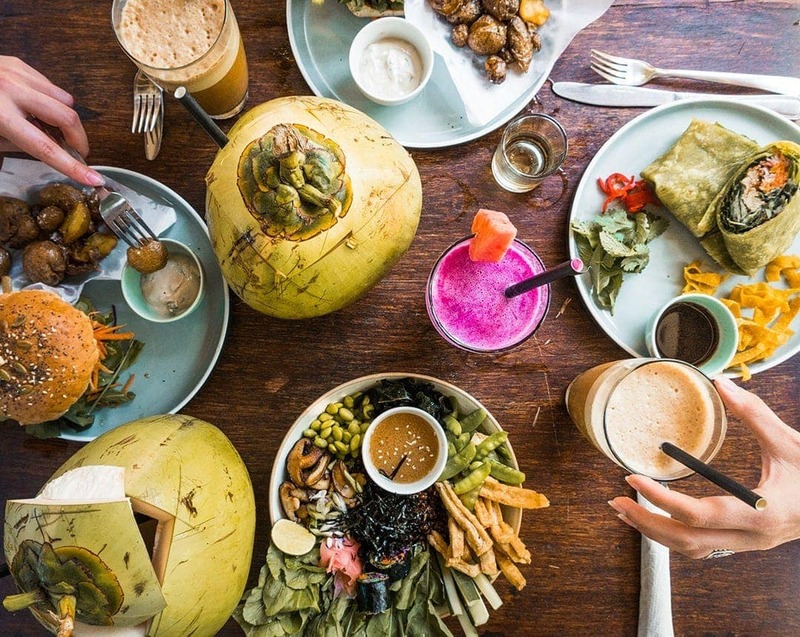 You will learn so much about life, food, and culture in Bali. The best part is that you will make a lot of new life lasting friendships. We stayed in Gadugan, which is a 1-hour drive from Canggu. Many people do a day trip to the Munduk area for the temple at Tamblingan Lake. Actually staying in Munduk will give you the time to see even more beautiful places. The area is a little cooler and can feel really comfortable. Waterfalls, swings, coffee, trekking, Munduk has it all. From Gadugan to Munduk is a solid 2.5-hour drive. 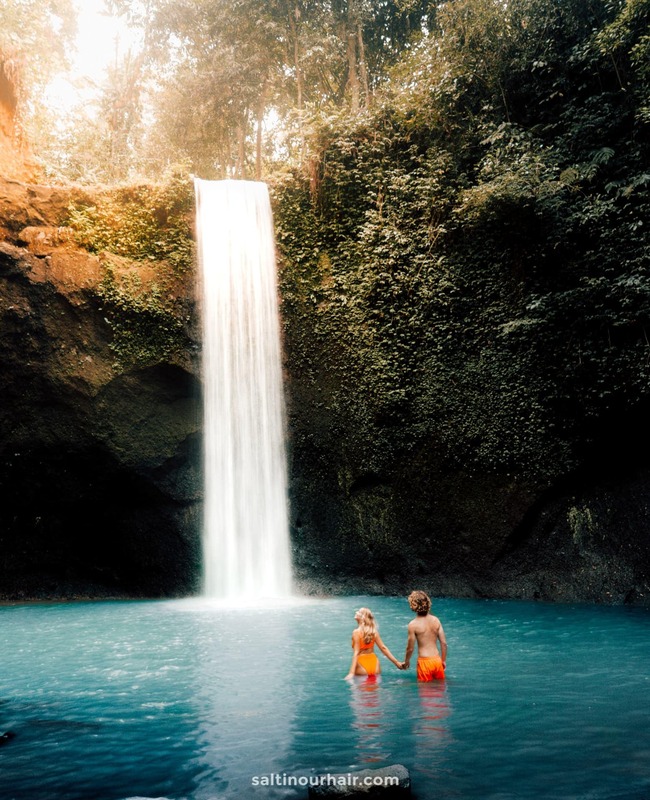 From Munduk, organize a trip to do the Bali waterfall route and end your trip in Ubud. Do a one or two-day trip and be amazed by Bali’s beauty. P.S. There is a driver recommendation included in the next link. 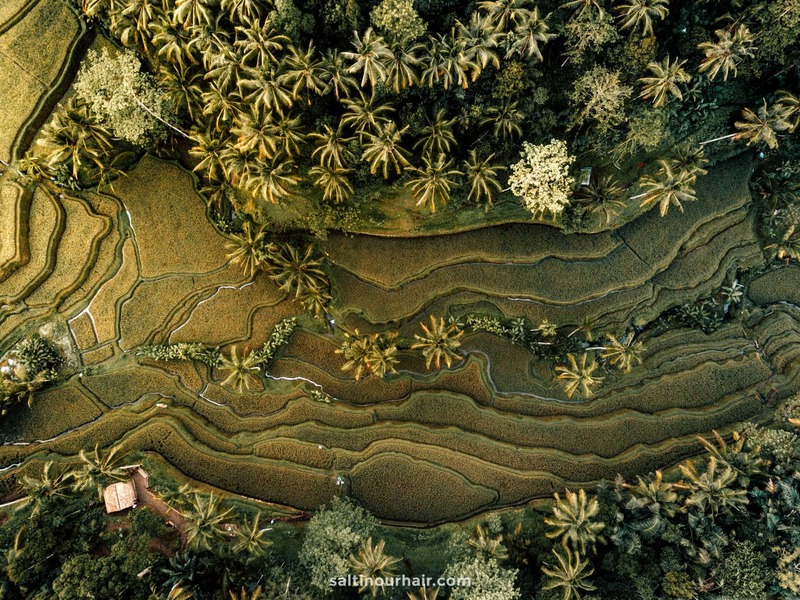 Ubud is a great village in the center of Bali. 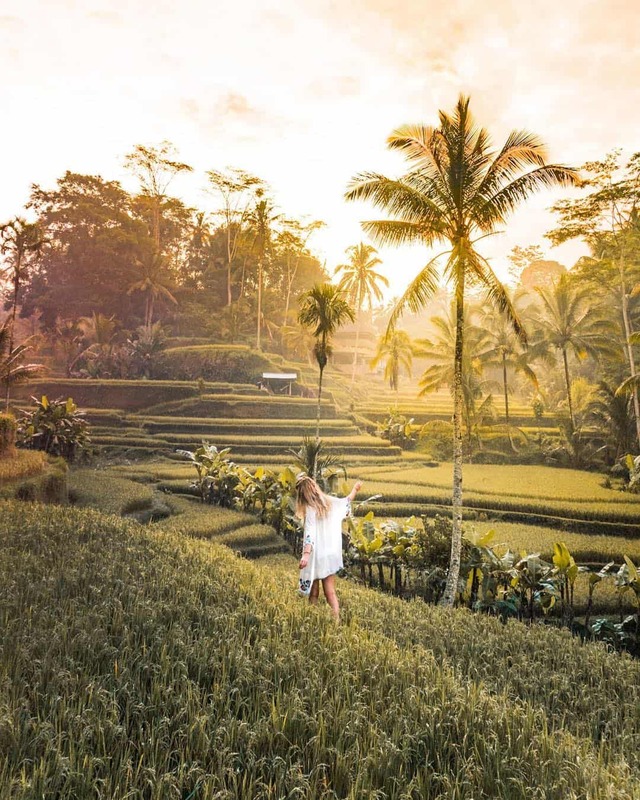 There is so much going on here like the Tegalalang Rice Terraces, countless waterfalls, yoga retreats and many more things to do in Ubud. Pssttt: Combine your Bali route with this Central and East Java route. After the great life in Ubud, head over to one of the smallest islands you will ever be. There are no cars or asphalt roads on the Gili Air. Get around by bike, relax at one of the many beaches, go on a search for turtles and enjoy the most incredible sunsets. From Gili Air, hop on the boat and go to Nusa Lembongan. It takes about 3.5-hours to get from Gili to Nusa. 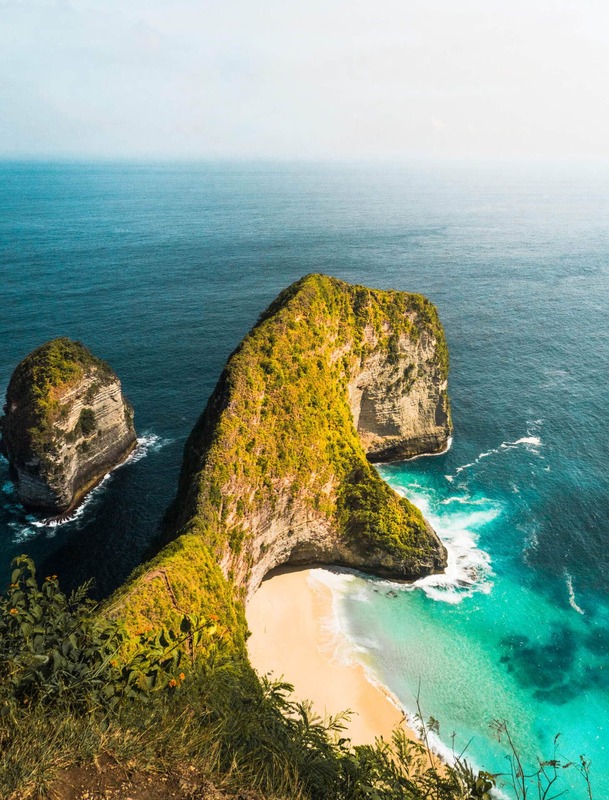 The Nusa Islands are less tropical but the vibes and views here are just right. Nusa Penida can be seen in a Nusa Penida day tour. However, if you have the time we recommend you to do a 3-day Nusa Penida trip. Nusa Ceningan and Lembongan are connected via a yellow suspension bridge which is just wide enough to cross it with a motorbike. 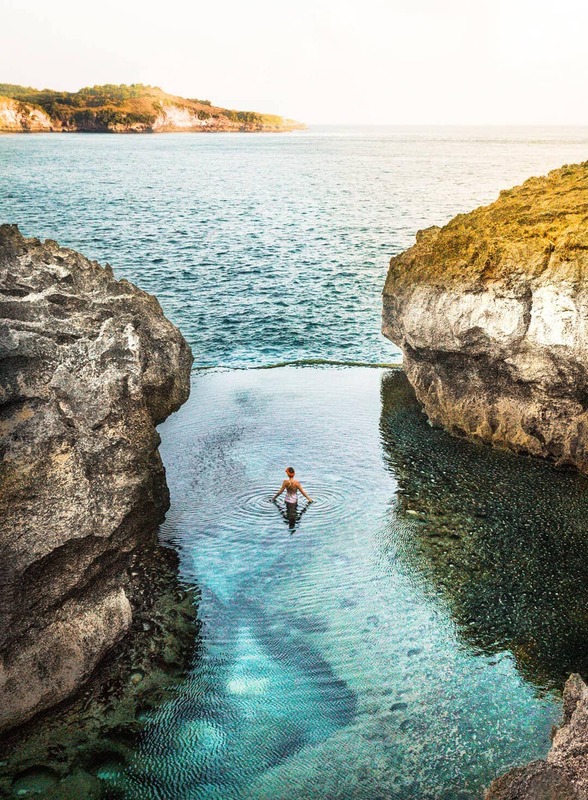 The life on the Nusa Islands is good and we would recommend staying on Ceningan for one or two nights. Nusa Ceningan is just a 20-min trip from Nusa Lembongan town. 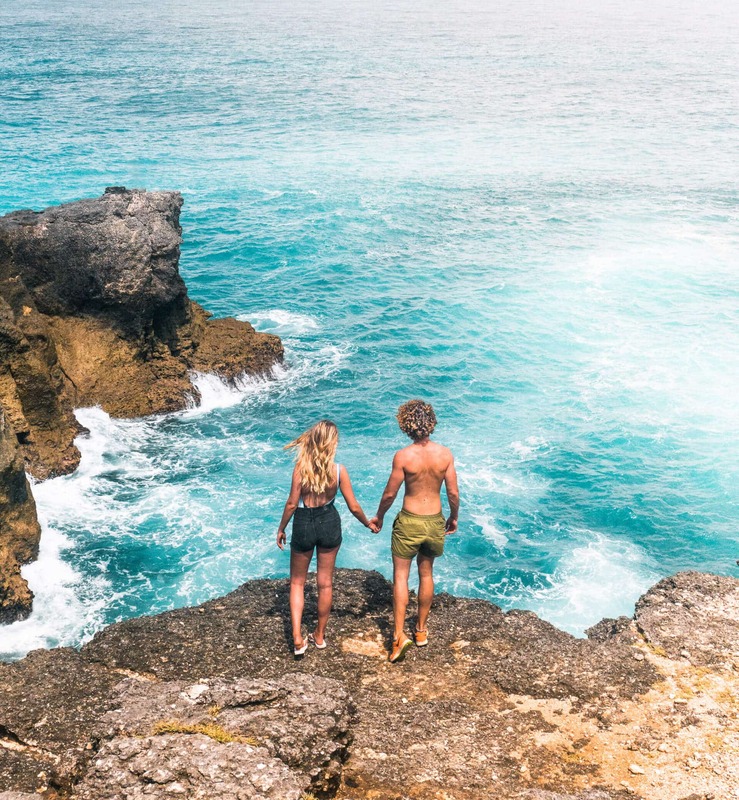 The last days your trip you can either spend in Uluwatu or again Canggu. Both places are close to the airport, laid back and you can surf as well. 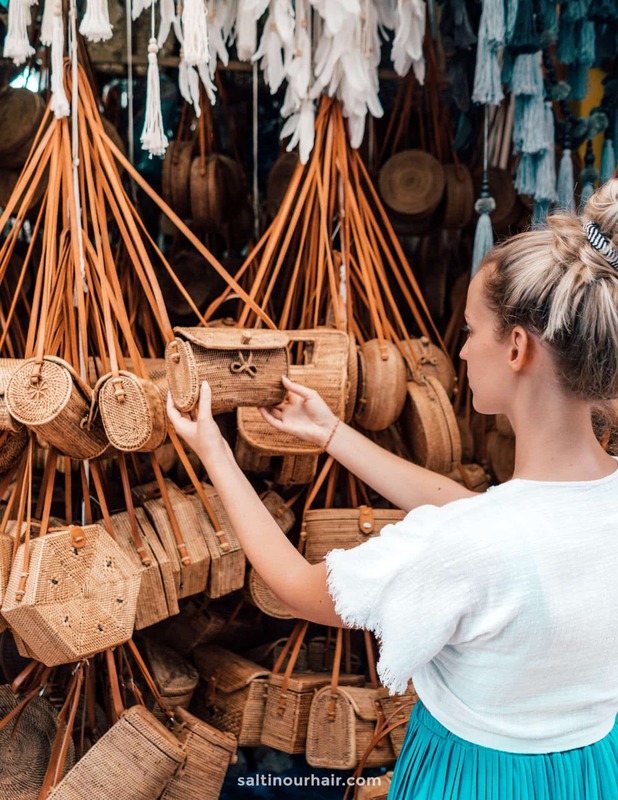 We loved Canggu’s vibe and stayed there. Planning to spend more time in Indonesia? Plan an unforgettable Komodo Islands boat tour. 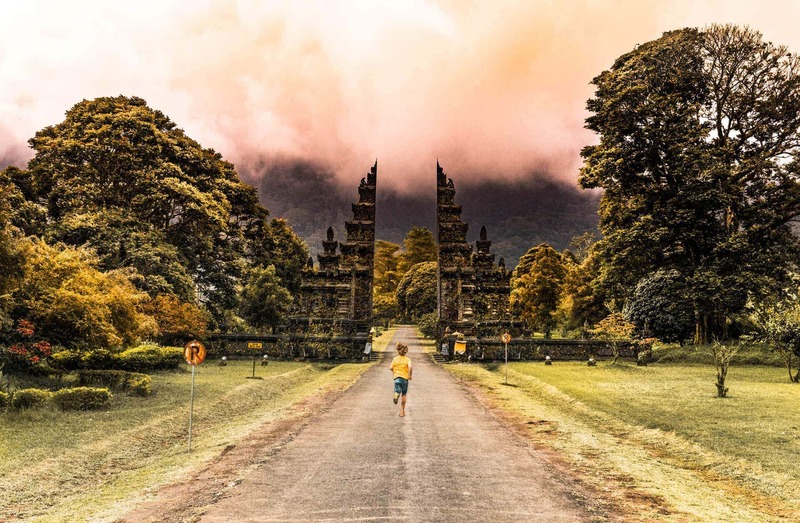 Bali’s absolutely best time to visit runs from May until July. However, if you are a surfer you might want to pick another season. May to October are known as the best season to surf around Bali. The price of food in Bali is different per city and kind of meal. Eat very local food in a not too fancy looking place and you will pay $1.50 for a full plate of delicious food. When eating across the road at this great looking and tasting vegan place, you probably will pay somewhere from $5 – $8 per meal. The price of a flight ticket to Bali can be half when going offseason. We found our ticket deal via Skyscanner. We paid €700 for a 1-stop return flight from Amsterdam, which is not the cheapest but the flight was only 15 hours. With a 1-hour layover in Singapore. And for the last bit of Bali inspiration, watch our short video. Enjoy Bali!